Description: The Almaguin Palliative Care Team offers compassionate, supportive care by trained volunteers to people who are living with a life threatening illness, and their families living in the Almaguin Highlands community. Eligibility: Individuals with a life threatening illness and their family members or caregivers. 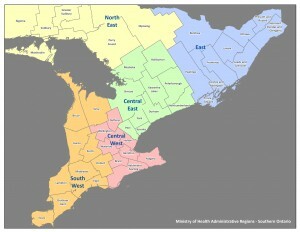 Referral: Referred by a physician, a Community Care Access Centre (CCAC) or self-referral. Hours: Mon to Fri; 9:00 a.m. to 6:00 p.m. Application: Contact the program administrator for an assessment. Description: ARCH Hospice provides quality, compassionate care through end-of-life to Algoma District families at no cost. 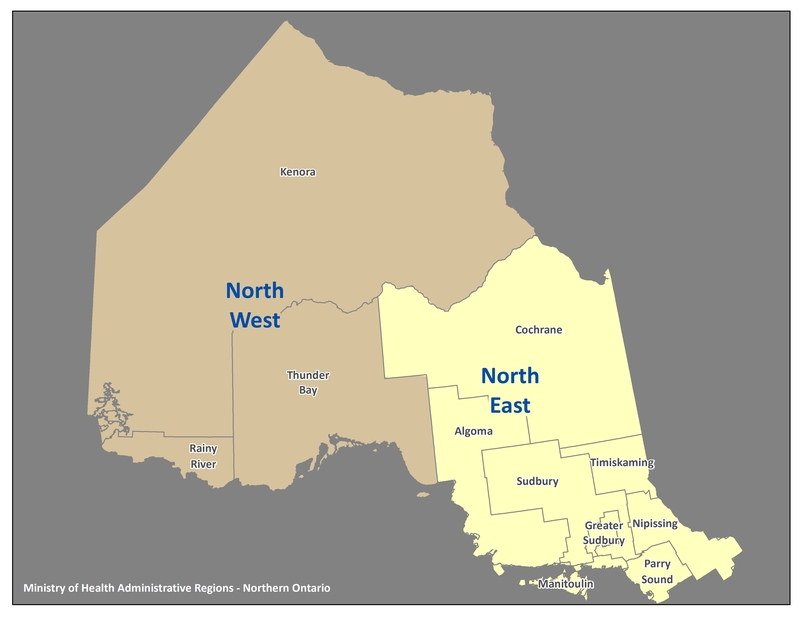 Eligibility: Algoma District resident, qualify for North East Community Care, access (NECCAC) services, diagnosed with a terminal illness; deemed to have a life expectancy of less than 3 months. Description: This 10 bed facility provides end of life care in a home-like setting to the residents of the City of Cornwall, Stormont, Dundas, and Glengarry, as well as Prescott and Russell Counties. Eligibility: Full awareness of diagnosis and prognosis, and acceptance of the philosophy of hospice care; Valid Ontario health card; Signed "Do Not Resuscitate" order; Eligibility for services through CCAC; Durable power of attorney for personal care and for property; Physician willing to provide care. Description: Kenora-Rainy River District Palliative Care Volunteer Program aims to provide the highest quality volunteer service and support to members of the community and their families during their time of need. Eligibility: Anyone experiencing a chronic or life-threatening illness. Referral: Usually a doctor or a CCAC; self-referral is also acceptable. Location: Within the communities of Kenora, Ear Falls, Dryden, Atikokan, Fort Frances, and Rainy River. Hours: Mon to Fri; 8:30 a.m. to 4:30 p.m. Volunteer coordinators can be personally contacted any time throughout the day. Application: Request services by calling in. Description: The Niagara-on-the-Lake Community Palliative Care Service offers visiting volunteers and other services to support individuals in the community, and their families/caregivers, who are coping with life-threatening illnesses  from the time of diagnosis to the end of life. Eligibility: Anyone within the regional municipality of Niagara-on-the-Lake seeking palliative care. Location: In the client's home, or in our local hospital or 3 nursing homes. Hours: Flexible. The answering machine is checked several times throughout the day. Application: No formal procedure, request services by calling the office. Description: Roger's House enriches the lives of children, youth and their families facing progressive life-limiting illnesses. Their team provides respite, end-of-life, transition-to-home support, pain and symptom management, peri-natal care and bereavement care by ensuring individualized physical, emotional, and spiritual support in a caring, compassionate and continuous learning environment. Eligibility: Eligibility criteria includes: referral to CHEO Pediatric Palliative Care Outreach team, children/youth up to their 19th birthday, Ontario resident with valid OHIP coverage, child/youth has life-limiting illness with progressive decline in health status, family and child/youth must be willing to confront the challenging issues around a child's/youth's illness and death with the help of the interdisciplinary team. Referral: Yes, must be referred by a physician. Staffing: Personal Support Workers, Registered Nurses, Palliative Care Program Physicians, Social Worker, Recreation Therapist and various volunteers.